The Mascarello family property extends over 15 hectares of vineyards, all located within the Barolo wine-growing area. Some, like the MONPRIVATO vineyard, can now be said to be a part of the family history, while the grapes grown on others were first purchased by Mauro before – having had the opportunity to ascertain their quality – he managed to buy the vineyards for the estate. 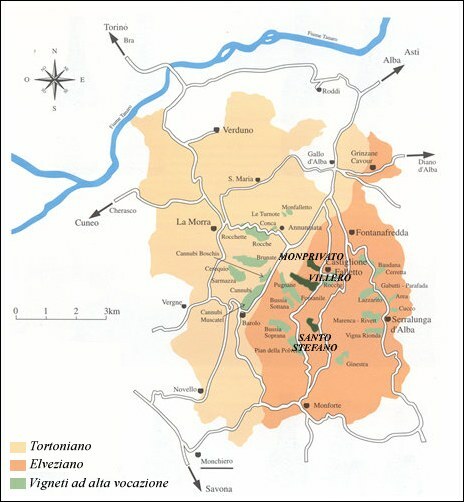 showing the prime wine-growing sites – in terms of soil composition, conformation, exposure and micro-climate – on the basis of proven historic importance and centuries-long traditions.